Why should you consider Facelift Mexico? Aging of the face is inevitable. As the years go by, the skin on the face and neck begins to loosen. The jaw line softens into jowls and excess tissue forms at the front of the neck. Have you recently looked in the mirror — only to find sagging facial skin, jowls and wrinkles make you look older than you appear? Is the toll of time written on your face? Facelift in Mexico is one of the most coveted surgeries in the world to improve your appearance and self-confidence. We believe that a satisfied patient is an educated, informed patient. Lead surgeon, Dr. Alejandro Enriquez de Rivera Campero, wants you to be in control of your own life changes. Performing 4 to 5 facial plastic surgeries per week, he recognizes the importance for you to understand exactly what to expect, so only then — you can make the right decisions for your personalized plastic surgery experience in Mexico. 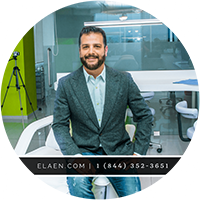 Here at eláen Plastic Surgery and Hair Transplant Center, a dedicated team has created the most unforgettable environment — an environment that allows patients to feel comfortable, surgery that is affordable, and the best plastic surgeons in Mexico at your fingertips. “I recently had facelift surgery with Dr. Alejandro. I am so pleased with not only the results but the entire experience at eláen.” — Carmen R.
What is Facelift Surgery in Mexico? Facelift Surgery Mexico, also known as Rhytidectomy Mexico, helps to rejuvenate your facial appearance by tightening the muscles in your face and neck, while removing or re-positioning excess skin, fat and deep tissue. Facial surgery in Mexico involves lifting the cheeks vertically opposite to the pull of gravity, softens smile lines, and lifts the corner of the mouth. eláen facelift patients see immediate improvement in their chin, jawline, and cheeks. 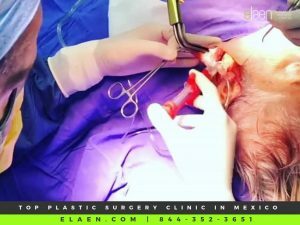 Facelift surgery at eláen Plastic Surgery and Hair Transplant Center is often combined with another rejuvenating treatment such as correction of the upper or lower eyelids or an eyebrow lift Mexico helps correct wrinkles on the forehead. Dr. Alejandro Enriquez de Rivera Campero is a world-renowned facial plastic and reconstructive surgeon. He specializes in elevating patients to a new plateau of beauty — through his groundbreaking approach to facelift surgery in Mexico. His surgical prowess and innovative techniques have been recognized internationally. Facelift surgery is the third most common plastic surgery performed in the United States, however many patients are unaware that nearly 90 percent of surgeons in the United States typically use general anesthesia (or in some cases, local injections of anesthesia with intravenous sedation), drainage tubes to remove excess fluid from the incision sites, staples which cause significant scarring, lifting techniques that DO NOT result in a natural appearance and recovery processes that increase the risk of complications. Facelift Mexico costs less than the USA. Plastic surgery in the United States involves higher costs, a large number of medications, less comfort for the patient by using monitors for heart and lungs, you lose your respiratory effort and require assisted ventilation — and ultimately longer recovery time. How does Dr. Alejandro Enriquez de Campero perform Facelift Surgery? 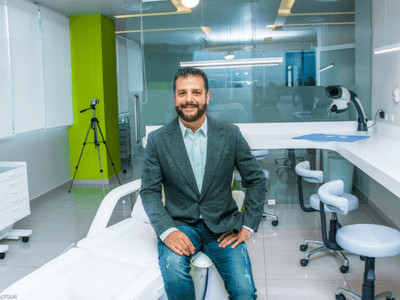 Mexico’s leading board-certified plastic surgeon, Dr. Alejandro Enriquez de Rivera Campero, begins with Twilight Sedation. Using this technique, our surgeon is able to achieve a natural, refreshed facial result — leaving no room for error and an easier, faster recovery period. What is Twilight Sedation? Twilight Sedation is an anesthetic technique where a mild dose of general anesthesia is applied to induce anxiety relief, hypnosis, and amnesia. The patient is not unconscious, but comfortably sedated and breathing on their own. Our board certified MD anesthesiologist will start an intravenous line (IV), in which the patient will begin to feel relaxed very quickly. He will follow this up with an infusion containing calming, analgesic and pain reducing medication. When the patient is mildly sedated, Dr. Alejandro will apply a local anesthetic. This is the most patient-friendly and safest form of anesthetic to-date. Why do we use Twilight Sedation? It is crucial for Mexico’s best plastic surgeon to be able to communicate with you during the procedure. While you may fall in and out of sleep, you will wake up easily to respond to verbal cues from Dr. Alejandro Enriquez de Rivera Campero. These simple verbal cues allow him to re-position and tighten the neck and face to a natural position — by asking you to smile, turn left, turn right, look up, look down. Twilight sedation allows your face to withhold it’s natural placement — therefore our surgeon is able to perform the surgery without changing your natural expression. This is a true facelift. With general anesthesia, your face automatically slumps downwards. This only makes it harder for US Plastic Surgeons to end in a natural, refreshed position because due to the anesthesia the face is unnecessarily lower. The skill and experience of your plastic surgeon is far more important than the technique used during facelift surgery in Mexico. Factors such as the lift directional vector, tightness of the lift, and the artistry and skill to not go too deep where underlying structures could be damaged is essential to the best results and longevity of facelift in Mexico. After more than 10 years of performing facelifts and seeing the results of other less-experienced surgeons, we can emphasize enough how crucial it is to have a world-renowned surgeon on your side. First Dr. Alejandro Enriquez de Rivera Campero addresses the neck area to determine if it needs to be re-contoured to a more natural position. If needed, the initial incision is made just to the skin crease. The submental and adjacent neck areas are then treated. Our lead surgeon then proceeds with a SMAS face lifting technique to tighten the tissue layer called the Superficial Muscular Aponeurotic System (SMAS) along with the overlying skin to a more youthful position. What is the SMAS? The SMAS is a relatively thin layer of supporting tissue that covers the deeper tissues and structures of the face and neck, including fat pads and muscles, and the entire cheek area. It is also attached to the superficial muscle covering the lower face near the jaw line and neck called the platysma. Utilizing his talent and skills, this lifts and tightens the jowls, neck, and cheeks to a more youthful position. The facial incisions included a curvilinear temporal component or sideburn component, which then proceeds to a retrotragal, preauricular segment followed by a postauricular and posterior occipital segment. Through this incision, a standard subcutaneous dissection is performed to about 2 to 3 cm proximal to the nasolabial fold. At the end of surgery, Dr. Alejandro positions and holds the skin flap into its final position with dissolvable, suspension sutures and completes the final trimming. Next, he raises the flap with retractors and, using a special syringe, sprays a FDA approved Tisseel fibrin glue on the underside of the skin flap and into the base of the underlying tissue. He then places the subcuticular sutures while manual pressure is applied on the skin flap for approximately five minutes, allowing the fibrin glue to set. Using an appropriate amount of glue in the surgical site is instrumental in achieving a good surgical result. Why Tisseel Fibrin for Facelift Surgery Mexico? Tisseel is a fibrin sealant made up of an allograft of fibrinogen and thrombin. It provides optimized lifting results and facilitates the ease and time of the surgery. The glue can help seal many of the very small traumatized blood vessels. The application of tissue adhesives is becoming more popular in aesthetic and reconstructive surgery for many reasons. The glue not only allows for a much better and precise adaptation of the skin flap to the underlying tissue, it also helps the surgeon achieve a more defined result, especially in the region of the mandibular angle — where fluids will typically collect after the surgery. Fibrin glue can help avoid the formation of pockets within the tissue and avert seroma formation. Moreover, aside from negating the necessity of drains (which is much more comfortable for the patient in the post-operative period), there is also less dermal discoloration post-procedure, particularly in the postauricular region, as well as less localized edema postsurgery. Dr. Alejandro Enriquez de Rivera Campero deems Tisseel as the safest and purest form of recovery as it virtually eliminates the chance of bacterial or viral contamination. The hemostatic and sealant properties of the fibrin sealant remain in the first 2 weeks postoperative — resulting in a more rapid recovery. One of the keys to a successful technique is not to use too much of the fibrin glue. Inexperienced surgeons often make the mistake of using too much glue which can result in some pooling of the fluids and cause seroma formation and reactive lesions. Following Facelift Mexico Surgery, we require you to stay overnight in our hospital suite. All patients undergoing Facelift (partial or complete) are allowed to shower and gently shampoo their hair, but not wash the face until 1 week postoperative. Men were asked not to shave for 1 week. Patients are encouraged to be physically active in moderation beginning the day after surgery, avoiding strenuous activities or those that appreciably increase heart rate. Normal physical activity can resume after 2 weeks. Since our clinic only uses a fibrin sealant, we only apply bandage on the day of surgery and it is removed the day after surgery. While most patients experience very little pain after surgery, our team will prescribe Arnica, a homeopathic pain medication that reduces swelling and bruising. Some degree of swelling and bruising is unavoidable so it will be necessary to use cold compresses. Considering Facelift — How do I get Started? We want to know your ideal appearance and gain a deep understanding of the face you’d like to see in the mirror. More importantly, it is our priority to explain to you the limitations of your anatomy and the realistic expected outcomes. If you would like to look your best and reverse some of the effects of gravity and aging, set up a consultation to learn more about facelift surgery in Mexico. We also have many patients who are willing to share their experience at eláen with you. See Facelift Mexico Reviews or Ask for more details.